The crown jewel of the Wargaming Calendar is WG Fest in Moscow. 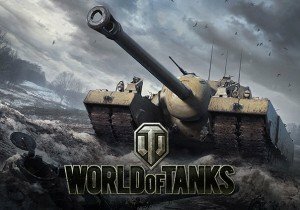 Here we’ll see the Wargaming.net League’s “Final Battle” for World of Tanks, a global esports event/tournament that will take place during WG Fest in Moscow, December 23rd. This tournament will see 12 elite teams from every region fight for tank supremacy. Two teams from APAC, two from NA, three from the EU, three from the CIS, and two from China will lock horns in a round-robin tournament first, followed by the quarter- and semi-finals in a single elimination tournament structure. The Final Battle of WGL’s Extended Season 2017 (which started off this month) will take place in December, in two phases. Five days of playoffs narrow down the list of teams (Dec. 13-17th) and determine who does battle on December 23rd for the final match of Final Battle. Playoffs and Final Round will be held at the Moscow Expocenter. With $300,000 up for grabs, tankers will have to bring their A-game to leave Moscow with their chunk of the prize pool. Interested in watching? Fans can follow the WGL’s Extended Season to support their favorite teams and be the first to find out who will claim the title of Extended Season World Champions at wgleague.net (APAC, NA and EU) and wgleague.ru (WGL CIS). The new SOBAN FLEET PACK comes to players of Homeworld: Deserts of Kharak on March 22, 2016.